May 28, 2014 • Using Landsat time series data, a group of Australian and British ecologist have found that the Yellow Sea has lost 28% of its tidal flats in the last three decades. The Yellow Sea lies east of mainland China and west of the Korean peninsula, and is known as a rich fishing ground. Tidal flats serve as a nursery for both fin-and shellfish and provide habitat for migratory birds. The high biodiversity of tidal flats rank them among the world’s most productive ecosystems. It is estimated that the economic benefit of the Yellow Sea tidal flats is $30 billion per year. Tidal flats also protect coastal populations from storm surges and flooding—a population of some 60 million around the Yellow Sea. Tidal flats are notoriously difficult to measure, however, because they are only visible during low tide. To measure the Yellow Sea’s tidal flats (which can be as wide as 20 km), Nicholas Murray and colleagues used the Oregon State University China Seas tide model to calculate the tidal stage during Landsat satellite overpasses. They then used two images acquired during high and low tide (±10%) to measure tidal flat extent in both the early 1980s and the late 2000s. Landsat data enabled them to map tidal flat extent for over 87 percent of the Yellow Sea coastline, more than 4000 km (2485 miles), Data were not available for the remainder due to cloud cover, ice cover, or lack of appropriate tidal stage. In their recent publication in Frontiers in Ecology and the Environment, the tea, reports a total tidal flat loss of 28% (from 545,000 ha in the 1980s to 389,000 ha in the 2000s). The rapid loss is attributed to extensive land reclamation projects for urban, industrial, and aqua- and agriculture, but loss of sedimentation and ground subsidence are also contributing factors. In North Korea, where there has been very little coast development in the last three decades, tidal flat extent actually increased. The authors believe this may be partially attributed to heavy sedimentation resulting from land clearing activities in the 1990s. The Yellow Sea is likely to continue losing tidal flats, because substantial urban expansion is predicted for the region. 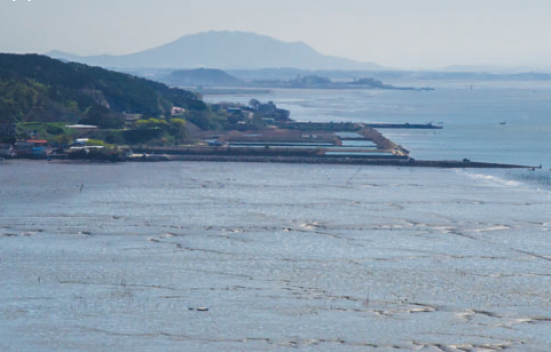 Two of the world’s largest reclamation projects are underway in Saemangeum, South Korea and China’s Caofeidian port. 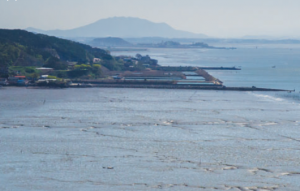 To stop the rapid decline of Yellow Sea tidal flats, smart growth strategies are needed to balance the economic benefits of tidal flats with population and development pressures.